OKLAHOMA CITY – Confidential medical records of several patients were disclosed in 2013 by the Oklahoma Medical Licensure and Supervision Board to lawyers suing Tulsa spine surgeon Steve Anagnost, according to agency emails obtained by Red Dirt Report. 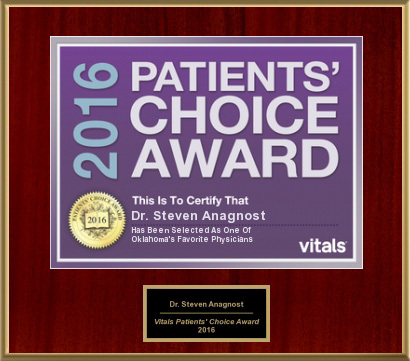 The private medical records, which are protected from public disclosure by the federal Health Insurance Portability and Accountability Act (HIPAA), were part of printed transcripts and video depositions that involved almost two dozen patients Anagnost had treated. A large amount of the private medical information was not part of any litigation, but still was made public by the state medical board. The patient records were distributed to at least four medical malpractice attorneys, including Tulsa lawyer Richard Shallcross, during mid-2013, according to an email prepared by then-Assistant Attorney General Marissa Lane to medical board Executive Director Lyle Kelsey and Deputy Executive Director Regi Varghese. Lane’s email was sent Oct. 10, 2013. Dr. Kern Singh, of Chicago, was paid more than $100,000 by the medical board to serve as an expert witness against Anagnost. Gayla Janke was an investigator for the medical board in 2013. Lane, who now works as a law clerk for Oklahoma Supreme Court Justice Joseph Watt, declined to comment about the email and why she made the request. Kelsey did not return phone calls for comment. A spokesman for Attorney General Scott Pruitt’s office said officials there were still reviewing information about the Anagnost case and, in particular, Lane’s email request that the patient information be destroyed or returned. “It (Lane’s email) appears to corroborate Dr. Anagnost’s allegation that the medical board was secretly providing confidential information to third parties, including plaintiff’s lawyers that had sued Dr. Anagnost, and attempted to cover it up,” Anagnost attorney Charles Weddle said in a statement to Red Dirt Report. The release of confidential patient information is certain to draw the attention of state lawmakers who will hold a hearing 8:30 a.m. Thursday at the State Capitol to explore the medical board’s prosecution of Anagnost. The hearing will be held in Room 206. “This is a serious, serious matter that his (Attorney General Scott Pruitt) office should have addressed and we’ll delve into that on Thursday,” said State Rep. Richard Morrissette (D-Oklahoma City). Attorneys who filed lawsuits against Anagnost obtained medical releases from their clients, but not from all the patients whose cases were reviewed during the depositions, Anagnost said. Shallcross received the depositions after filing Freedom of Information requests with the state medical board. A Tulsa County judge allowed Shallcross to use confidential patient information from “five or six” cases as part of his attempt to demonstrate that Anagnost was negligent in operating on his client. Shallcross acknowledged he still has in his custody the remaining confidential patient files that are part of the transcripts. Without hesitation, Shallcross said he doesn’t intend to return the information or destroy it. Shallcross admitted he didn’t give prior notice to the patients or Anagnost that the confidential files were being used in a lawsuit. “There was no need to. There were no names,” he said. Anagnost, however, said every patient mentioned in the depositions was listed by name and that he has never seen a transcript with patient initials only. Anagnost, a pioneer in Minimally Invasive Spine Surgery (MISS) in Oklahoma, was the target of the medical board for several years as staff members and board members sought to revoke the surgeon’s medical license. Secret files and emails meant to ruin Anagnost were obtained by Red Dirt Report as part of an exhaustive investigation into the case. Prior to the medical board’s investigation, Anagnost turned down an offer from competing surgeons to join their practice at Oklahoma Spine and Brain Institute in Tulsa and the physician-owned Tulsa Spine & Specialty Hospital. Anagnost and his attorneys also have objected that Kelsey disseminated the transcript of a June 18, 2010 emergency medical hearing to a media organization. 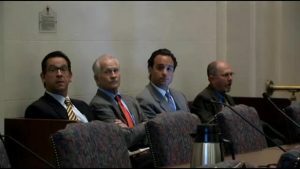 The hearing centered on Anagnost and complaints generated by his surgical peers in Tulsa. Confidential patient information was part of that transcript as well, Anagnost said. The email was dated Nov. 18, 2011, – nearly a year and a half after the hearing. Although news agencies and lawyers have been given access to sensitive documents involving Anagnost, neither he nor his legal team have been granted those same privileges. “They won’t let me see my own file, but they give it to the press and plaintiffs’ attorneys,” he said. Anagnost admits the case has been lengthy and complex because of an aggressive push by the medical board staff to revoke his license when there was no evidence of wrongdoing on his part. Anagnost also cites conflicts of interest and an abuse of his constitutional rights to due process as major reasons his practice and professional life was severely damaged. Gary Brooks, who works as a medical malpractice attorney, served as a medical board member until 2011, which was during the time period Anagnost was being investigated. In addition, board prosecutor Randy Sullivan works as a medical malpractice attorney. Both filed lawsuits against Anagnost in 2008 and 2010 and settled them in 2012. Reports, memos and internal medical board emails illustrate that Brooks, who was supposed to remain neutral as a board member, knew more about the Anagnost investigation than should have been allowed. Several emails and reports from Janke mention Brooks as a key player in obtaining evidence against Anagnost. The board’s initial complaint against Anagnost was settled in September 2013 after the doctor filed a lawsuit in Oklahoma County District Court. However, a second lawsuit was filed by Anagnost in December 2014 alleging the medical board used deception to obtain the settlement. The suit claims Anagnost was unaware of the conflicts of interest until after the settlement had been reached.